When first coming in contact with the Truth, I withdrew. The reality of a place called Hell; the stark revelation that I was guilty of all the Word of God exposed to my heart and the truth that I deserved to go there was quite overwhelming. After a full gospel presentation, I was weighed in the balance and found wanting. I did not realize it then, but, it was God’s love that began to draw me to Himself. After the blunt force blow to my soul, I began to seek in earnest this Jesus whom I thought I knew. In the weeks that ensued, I realized early on, that I clearly did not have what those who claimed salvation truly had. They smiled though I knew they were facing some pretty intimidating trials. They were at peace when the things around them could have ripped their world apart. What was it? Why were they so happy? What was it that I was missing? When I saw that it wasn’t “what” but “Whom” I was missing, I was faced with a decision… and what a decision it turned out to be! I turned from any and everything religious to trusting Jesus Christ as my Lord and Savior. Getting up from my knees, I felt at peace with God. The emptiness I had within was replaced with the power and presence of the Holy Spirit. I felt connected to God in a way I had never felt before. I was and am and will always be – saved. Possessing something that others do not can place you in a precarious situation – if not dealt with properly. Money, power and fame are just three things that separate people. But the lines drawn by God are there to reveal truth and lie, righteous and sinful, Heaven and Hell. When I begin to judge myself better than anyone for what I say, what I wear, where I go, and with whom I choose to fellowship; I am open to become a judge over someone I have not been given the authority to judge. Biblically, there are at least two definitions to that english word ‘judge’. One is a definition of discernment. By observation, I can discern and therefore make a judgement based on that observation. The other is more harsh which is a judgement unto condemnation. That type of judgment for the Christian, is based upon the Truth – the Word of God. Unless I am called to a God-appointed position to be that judge, He remains the ultimate Judge over all. And, even in that position, if I do not follow after that which God’s Word tells me, I am wrong. Governments around the world are set up based upon a set of rules for them to be governed by. Without them, there would be chaos. So, with that background, I want to connect the dots this morning on a thought that God gave me today. I work with people in a capacity of mentor, discipler, and leader. Given that I can discern a person to be one way or another is through eyes of one who is very limited in his experience, wisdom and knowledge. So, the judgments that rise in my heart over the things that I see and perceive to be true is still only part of the story. Until it is confirmed by God, I cannot just write someone off because they have failed multiple times or because they exhibit a hard, rough unteachable spirit. Who, but God, would know that the one last presentation of the gospel would open their heart to see their need of salvation. Who, but God, could know that walking with someone through a series of failures would allow them to persevere enough to become what it is God has gifted them and called them to do. I often struggle with judgments I make in my heart over people God has placed in my life that I’ve all but given up – but God hasn’t. It has been in those times that I have realized that God works on both of us as we work together. I can always be made to be a better leader; a better follower; a better servant. But so often God does it while He is using me to help others see the very same thing. Because a person follows a pattern of behavior, we can discern them to be what it is they follow after. But often, we give in to say something like; “Once an addict, always an addict”. It could be applied to lying, stealing, immorality or hundreds of other things. We so often label and classify people like our spice rack. That one has been hot-headed means that they will always be hot-headed. Sarcastic, rude, mean or many other such unacceptable behaviors come out in people we all deal with. 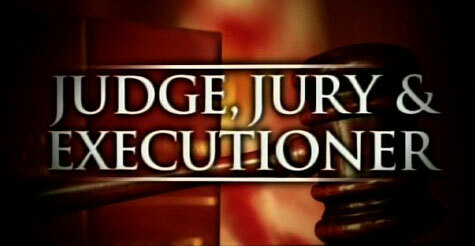 But I cannot be judge, jury and executioner to someone God has placed in my path to help. I have seen some of the most helpless and hopeless of people turned into trophies of grace by God. When I stand in the way of God helping someone by my own judgments, I am restricting His love through me. I must be empty and void of all prejudice, preference, position, power or opinion. Pride subtly draws me to conclusions about someone because it closes the door to God’s interaction. It becomes ‘what I think’ and ‘what I want’ not what is best for that person. It has been said because it is true: Christians often shoot their wounded. More often than not, it is because we gave in to our own judgment instead of yielding to what God desires to do through us. Ultimately, it is our choice. It is easy to pick up the gavel and declare judgment. But following God’s way yields far better and longer lasting fruit!